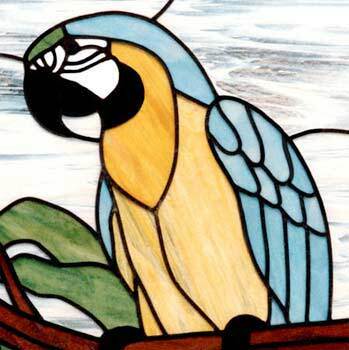 Blue Macaw Leaded Stained Glass Parrot Custom Glass Design. 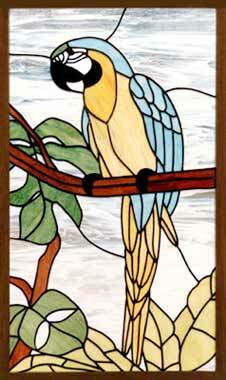 "BLUE MACAW" LEADED STAINED GLASS PARROT WINDOW CUSTOM AT GLASS BY DESIGN. This stained and leaded glass blue parrot window was 24" x 42".